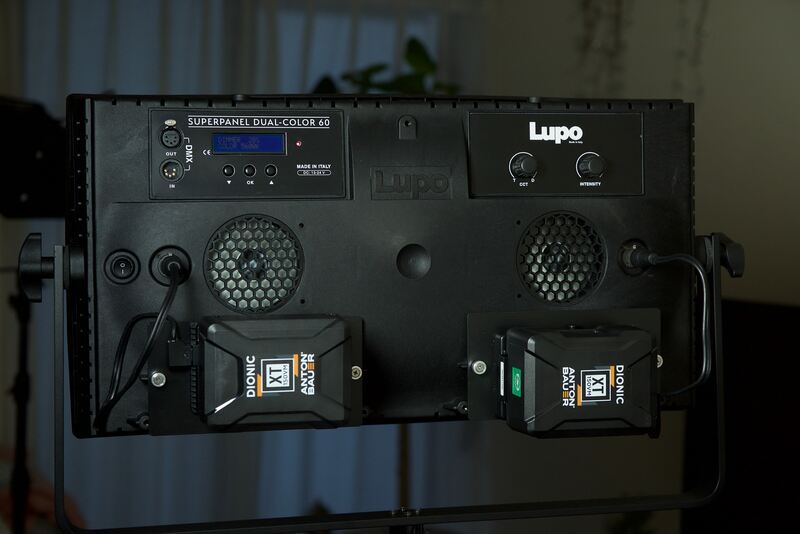 Lupo Superpanel Dual Color 60 Review – The new output king? The Lupo Superpanel Dual Color 60 is the latest fixture to emerge out of the Collegno factory in Italy. It is the company’s first foray into 2×1 sized panels and it certainly packs a punch. Lupo claims that this fixture puts out a whopping 69,000 lux at a distance of 1 m (3.3 ft) when used at 5600K. Back in 2016, I reviewed Lupo’s Superpanel 1×1 and I was very impressed with the lights performance and output. So almost three years later, will the Superpanel Dual Color 60 live up to the performance of its smaller sibling? Well, let’s find out. When you think of Italy, LED lights are not the first thing that comes to mind. Most people would probably assume that Lupo is a new company, but they were founded way back in 1932. In their first few decades, they mainly made equipment and accessories for professional photography such as enlargers and tripods. In the ‘90s, they began to focus on the production of professional lighting equipment not only for photographic purposes but also for broadcasting and video environments. I have been a big fan of the Lupo Superpanel series. They are high output, color accurate, and well made 1×1 panel lights that are hard to beat at their price point. Lupo’s newest addition to the Superpanel’s family is the Dual Color 60. This is Lupo’s first foray into making 2×1 sized lighting fixtures. 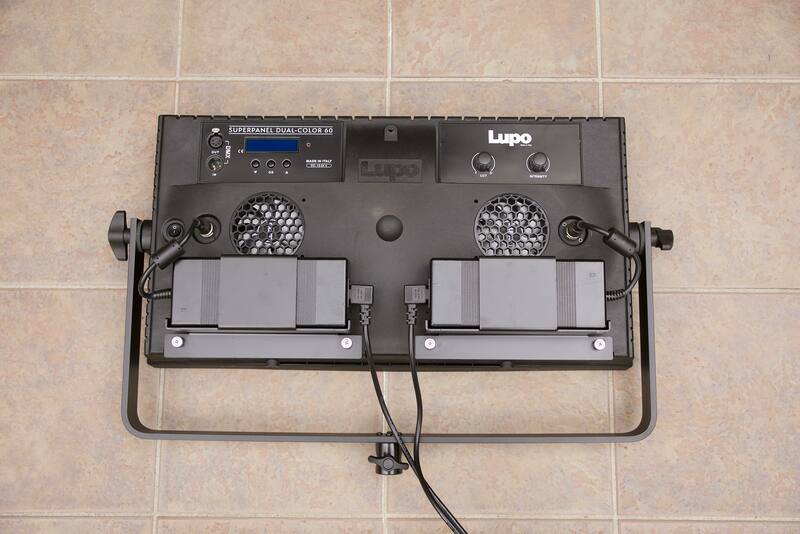 The Superpanel Dual Color 60 is the largest and heaviest light that Lupo have ever made, it is also the brightest. With the Superpanel Dual Color 60, Lupo has focused on creating a high output and affordable fixture that creates nice light. The Dual Color 60 is a hard light. With a narrow beam angle and no front diffusion panel, you will need to use some type of diffusion if you want to turn it into a softer source. It features 800 high CRI power LEDs. Each LED is housed behind what looks to be a mini holographic lens that is used to intensify and direct the light. 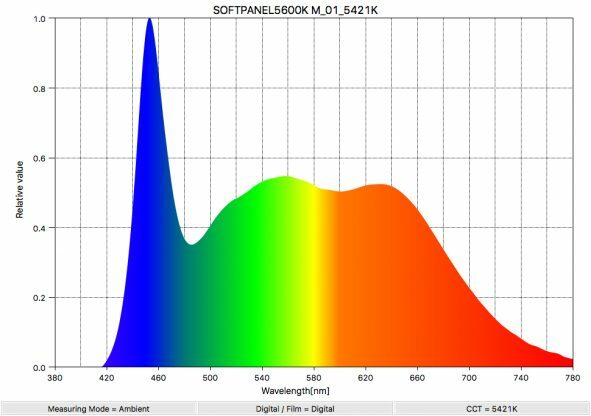 The Superpanel Dual Color is Kelvin color adjustable from 3200K to 5600K with a claimed CRI and TCLI of 95. The 3200K to 5600K Kelvin color adjustability is quite a limited range, especially for a light that is being made in 2019. In saying that, a lot of potential users of this light are probably going to be using a fixture such as this within that Kelvin range the majority of the time. The Dual Color 60 has physical dimensions of 65 cm x 34 cm x 11 cm (25.58″ x 13.38″ x 4.33″) and weighs in at 8 kg (17.63 lb) with the power supplies and the yoke frame. This is certainly a heavy light and it weighs more than twice that of the Superpanel Dual Color 1×1 which weighs in at 3.3kg (7.27lb) with the yoke frame and power supply attached. Compared to some other 2×1 dual color fixtures, how does it fare? The SoftPanels 1×2 (with power supply/control panel and yoke frame attached) tips the scales at 9kg (19.84lb), the F&V Z800S weighs (3.6kg/7.93lb), and the Kino Flo Celeb LED 250 is (6.8 kg/15 lb including yoke). I’m not going to list all the 2×1 options because there are just way too many. If you compare it to lights such as the Litepanels Gemini (10.1 kg / 22.2lb), or ARRI SC60-C SkyPanel (12 kg/ 26.5 lb- without the 5.0 kg/ 11 lb power supply) it is slightly lighter. 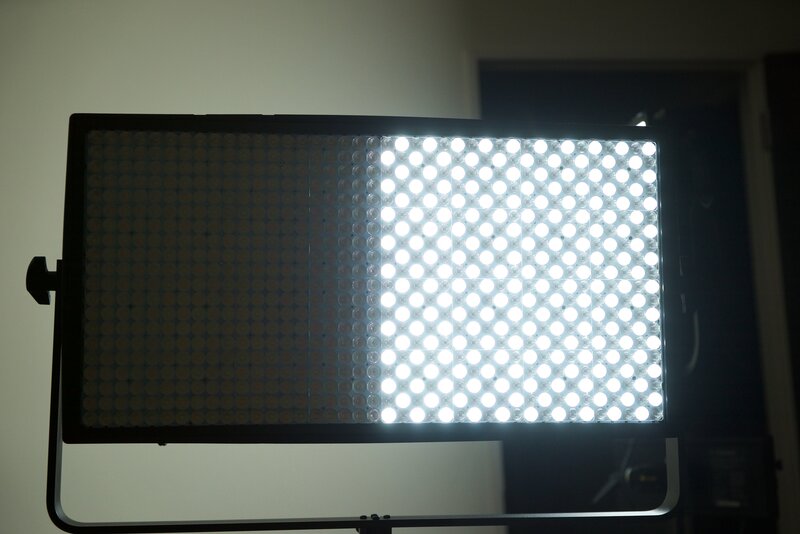 Other 2×1 RGBW sized lights such as the Kino Flo Diva-Lite 21 (5.40 kg / 11.9 lb) are quite a lot lighter. 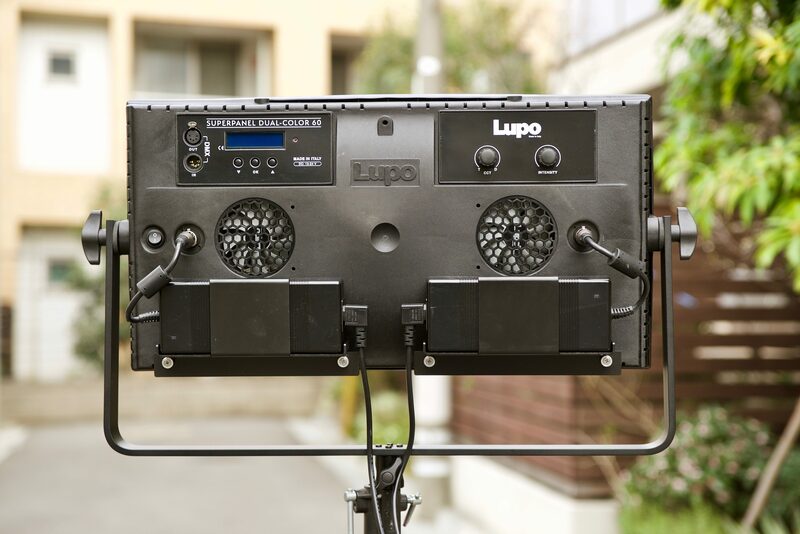 The original Lupo Superpanel Dual Color 1×1 was, and still is, the highest output 1×1 panel light I have ever tested. It puts out a whopping 21800 lx at a distance of 1m. 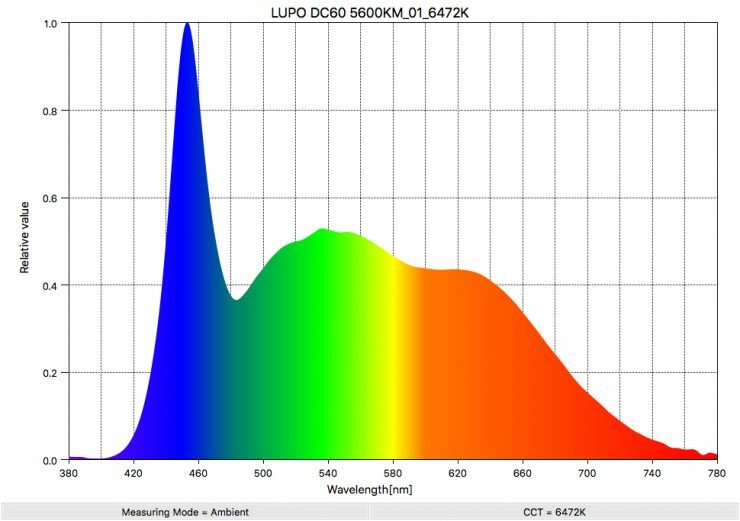 Well, you better put on your sunglasses if you are going to look into the Superpanel Dual Color 60, because Lupo quotes an output of 69,000 lx when the fixture is used at 5600K at a distance of 1m. No, that isn’t a typo, it is 69,000 lux. I’m not sure how this is even possible from a 2×1 sized fixture. So does it actually put out 69,000 lux at 1 m? Well, you will have to read the rest of the review to find out. Starting with a high output is usually a good thing because it means you can heavily diffuse it to produce a really nice soft lighting source. Now, output isn’t everything, there are a lot of factors that go into determining whether a light is good or not. The Superpanel Dual Color 60 has a rather narrow 40-degree beam angle which keeps the light source from spilling everywhere. Even though 40-degrees sounds quite narrow it is coming from a 2×1 sized panel, so it doesn’t seem overly spotty. As the output of this light is so high, if you bounce it into a wall or a ceiling, it is certainly capable of creating a much wider spread of light. The Superpanel Dual Color 60 draws 220 W (DC supply from 14.8 V to 24 V). 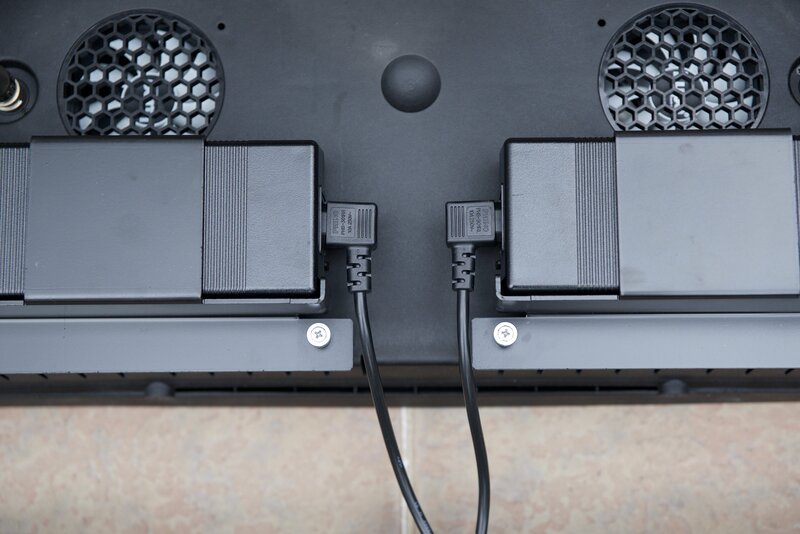 The fixture uses two power supplies that are linked together. These power supplies sit securely in mounting brackets. 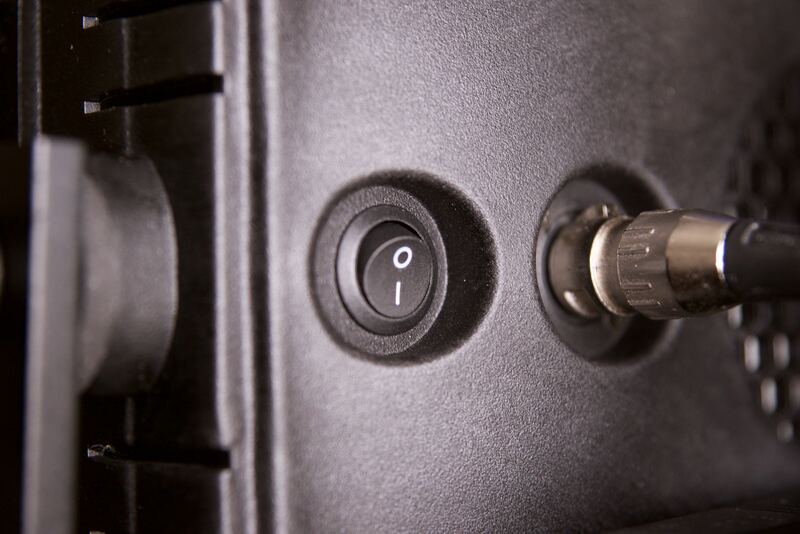 These mounting brackets can be easily removed if you want to use optional battery plates instead. The original Superpanel Dual Color 1×1 draws 120 W.
The fact that you can run a light with this much output off a couple of camera batteries is unheard of. Lupo recommends that you use 160 Wh batteries. Unfortunately, if you travel a lot on planes you can only take two batteries between 100Wh and 160 Wh. This doesn’t necessarily mean that this light isn’t a travel-friendly solution, but you do need to keep in mind the battery requirements if you want to run the light remotely without mains power. One solution would be to use two 100 Wh Hawk-woods Mini V-Lok batteries on a dual battery plate, but of course, you would end up needing four batteries and two dual plates. I tried running the light off a single Hypercore Xl 293Wh battery. The problem is because the Superpanel has been designed to be used with two power supplies or battery plates, only half the panel turns on! This is not such a bad thing, because at least you could run the light as a defacto 1×1 Superpanel off a single 160Wh camera battery. The Dual Color 60 has a simple digital display on the back of the light that lets you see and change the settings for intensity and color temperature. 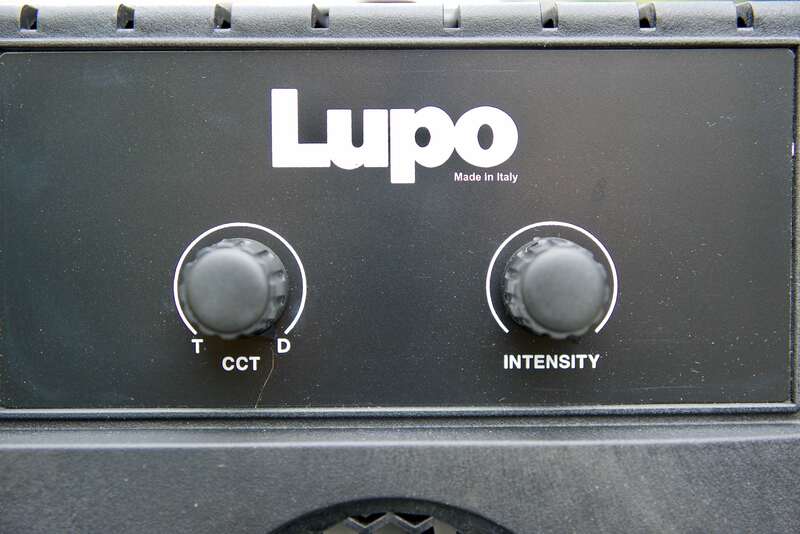 Just like other Lupo Superpanels, the controls for the Dual Color 60 are simplistic. Controlling the intensity and Kelvin color temperature is simple to do and it is a light you can certainly use straight out of the box without referring to an instruction manual. The light is fully dimmable from 1-100% in one percent increments, and you can also adjust the kelvin range in one-kelvin increments for precise color temperature. The Dual Colour 60 has what is referred to as a Linearization Mode. Lupo explains that Linearization is the compensation curve for the human eyes perception of the luminous intensity emitted as a function of the required power (required power = dimmer value on the display). Linear: No compensation. The intensity of the light is directly proportional to the requested power. Exponential: The light intensity increases from 0-100 exponentially. Logarithmic: The light intensity increases from 0-100 logarithmacally. What all this basically means is that the lights output will vary depending on what mode you are using. For maximum output you need to be in the Linear mode. I found that in the Exponential Mode that the maximum output of the light is about 136% less than when the fixture is used in the Linear Mode. In the Logarithmic Mode it produces about 233% less output. The Dual Color 60 features a simplistic design. The fixture is all business and it doesn’t jump out and demand attention. Instead, Lupo has just concentrated on making it robust and easy to use. 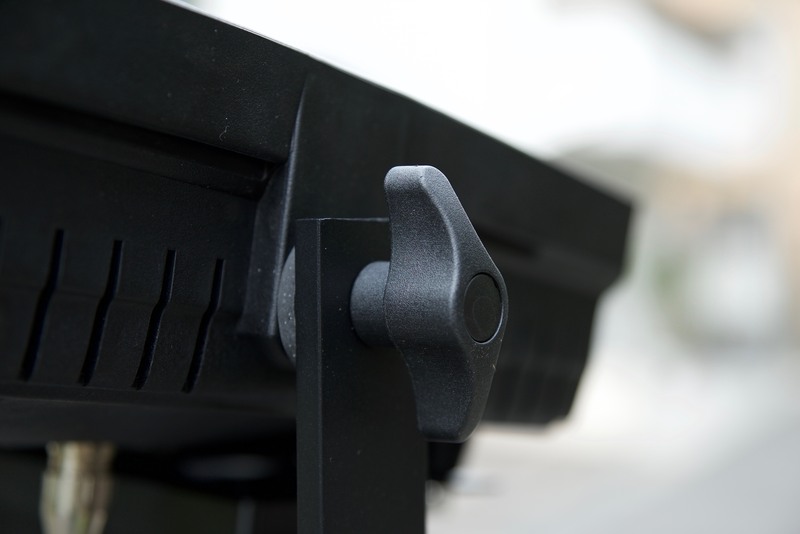 The yoke frame is solidly constructed and the locks on the yoke tighten down very securely. 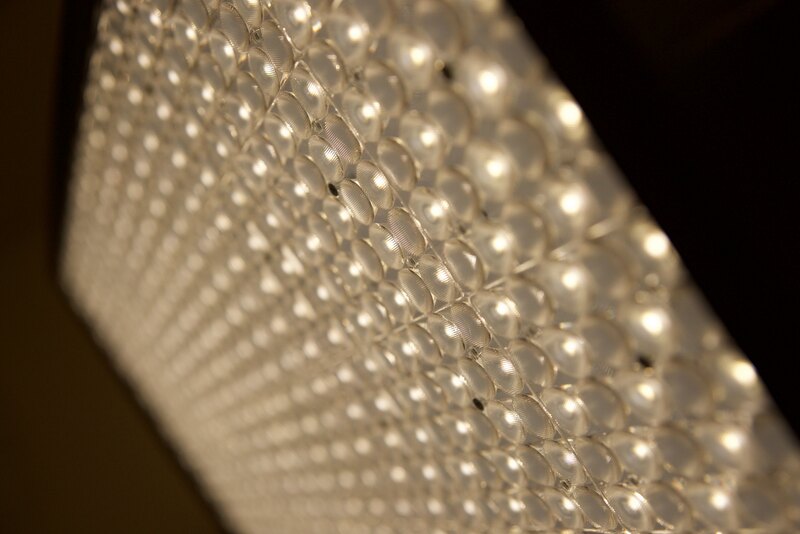 The casing of the fixture is made out of reinforced technopolymer and the light is nice and robust. It is matte black in color which is good because it doesn’t reflect any light. The only problem I found with the finish on the casing of the light is it is very prone to scratches. While this is more of a cosmetic issue, than a build quality issue, some potential buyers may not like this. From using other Superpanel lights over the last three years I have yet to encounter a single problem when it comes to reliability or build quality. A lot of manufacturers (and I’m not sure if this applies to Lupo or not) are really pushing their LED lights to the limits and the lifespan of those fixtures can certainly be compromised. Given the Dual Color 60’s high output it will be interesting to see how it stands up over a long period of time. The Dual Color 60 has two inbuilt fans to keep it cool. With the high output of this light, cooling must have been a primary concern for the design team. The fans on the Full Color 60 are barely audible. Just like other Superpanel fixtures, you can turn the fan off, but if you do the maximum intensity level is limited to 50%. 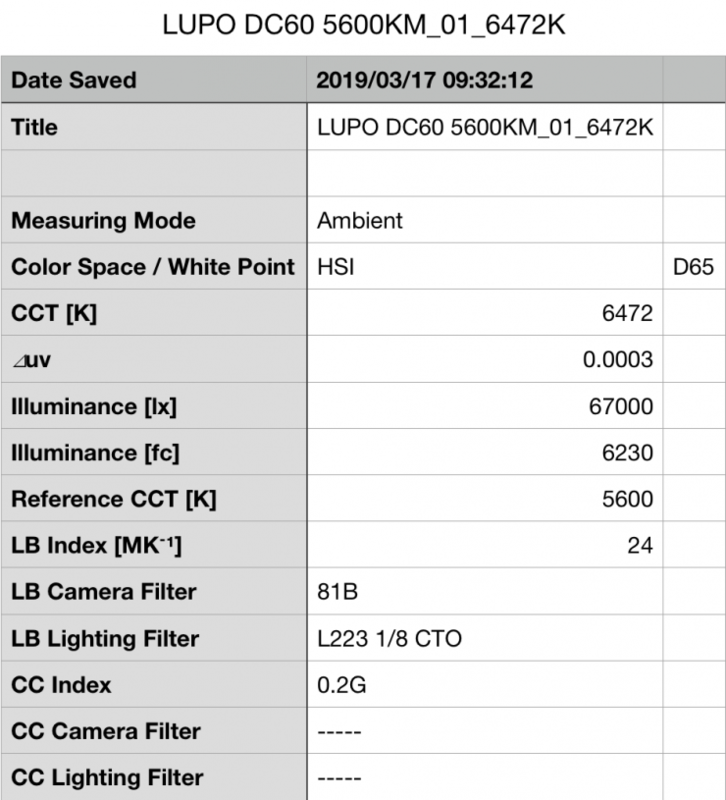 I tested the Lupo Superpanel Full Color 60 at a variety of Kelvin color temperatures with a Sekonic C-700 Spectrometer to find out how much output the light had and how accurate the Kelvin color temperature reproduction was. All readings are taken at a distance of 1m (3.28ft) in a controlled environment. Above you can see the light recorded an output of 67,000 lx 6230 (fc) when set at 5600K and run off mains power. 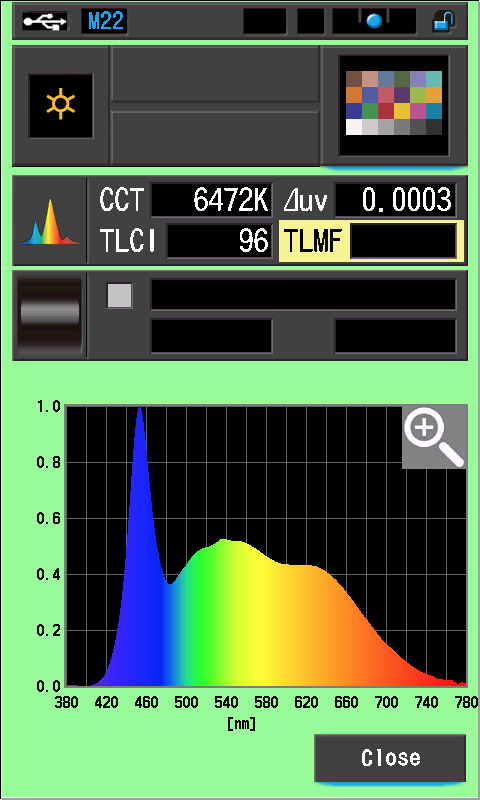 The Lupo produced a Kelvin color temperature of 6472K. The Superpanel had a 0.2G CC Index score. This output was impressive for any 2×1 panel, and the reading I got was only 2,000 lx lower than Lupo quotes in their specifications. The 6472K reading was a lot higher than what I would have liked to have seen when using this light at 5600K. The first time I turned it on and turned the intensity up it was so bright I had to look away. I wasn’t even looking at the light, I was behind it. You seriously do need to be careful if anyone is looking directly at this light without any diffusion on it. 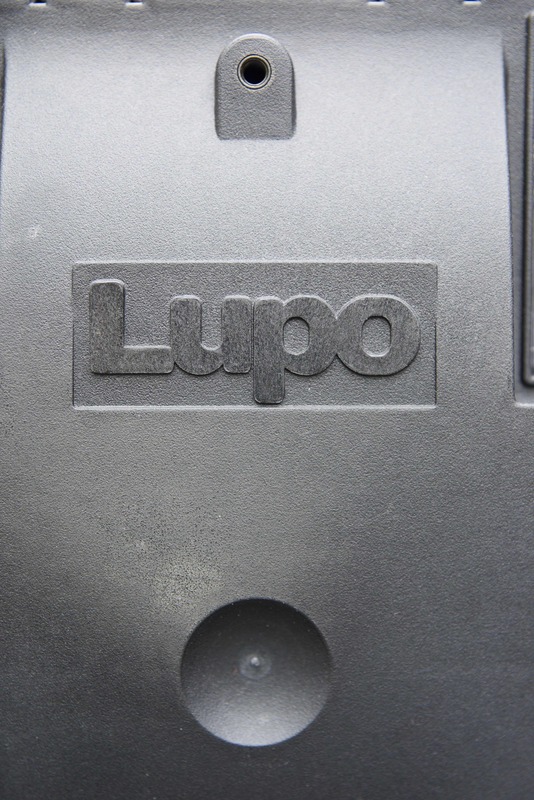 In terms of output compared to the original Lupo Superpanel Dual Color 1×1 (21,800 lx), it was a whopping 207% brighter. 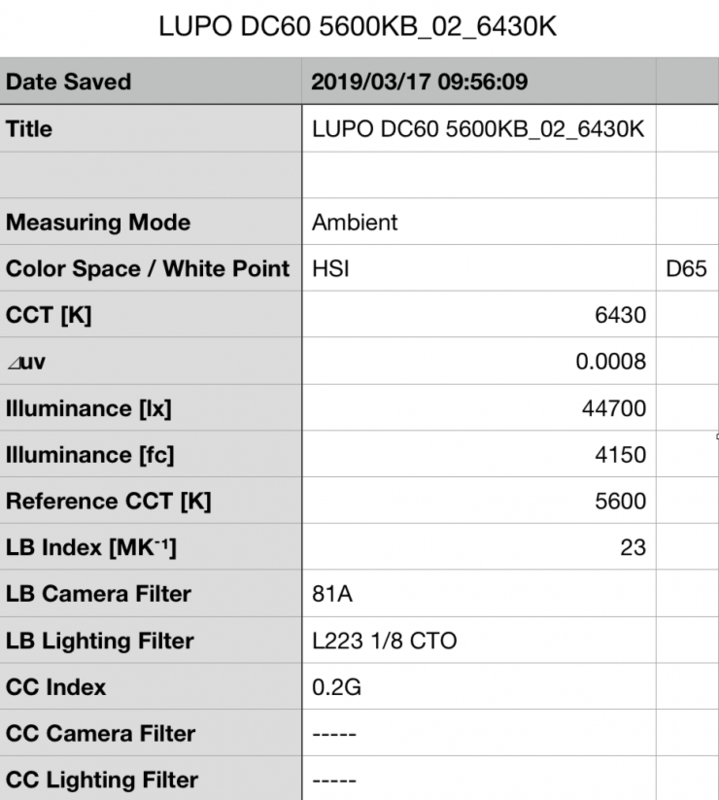 Here is how the 67,000 lx output and 6472K Kelvin color temperature I measured from the Lupo compares to some other 2×1 fixtures I have reviewed. I have included two RGBW fixtures as an alternative reference. Just as another comparison here is the output of the Kino Flo Celeb 250: 2990 lux. As you can see, all of these lights have a lot less output than the Lupo Superpanel Dual Color 60 at 5600K. 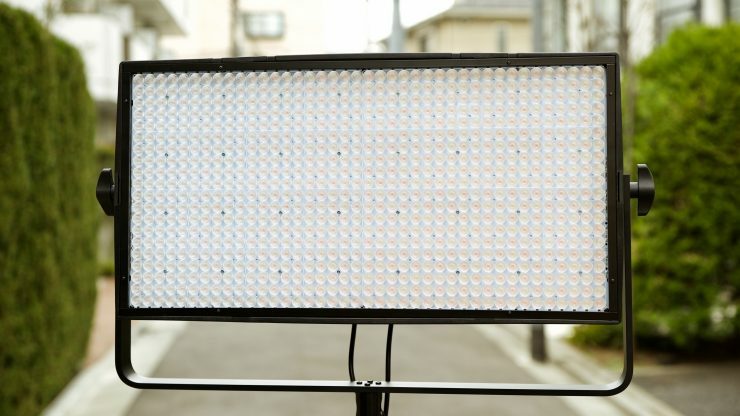 The Dual Color 60’s output was 572% higher than the Litepanels and a whopping 1,558% higher than the F&V. All of the other lights were a lot more Kelvin color accurate when set at 5600K. What you clearly need to take into account is all of these other lights have built-in diffusion panels and wider beam spreads. This comparison as far as output goes it just to show you the differences from other lights I have measured. Above you can see the light recorded an output of 61,400 lx 5710 (fc) when set at 3200K and run off mains power. 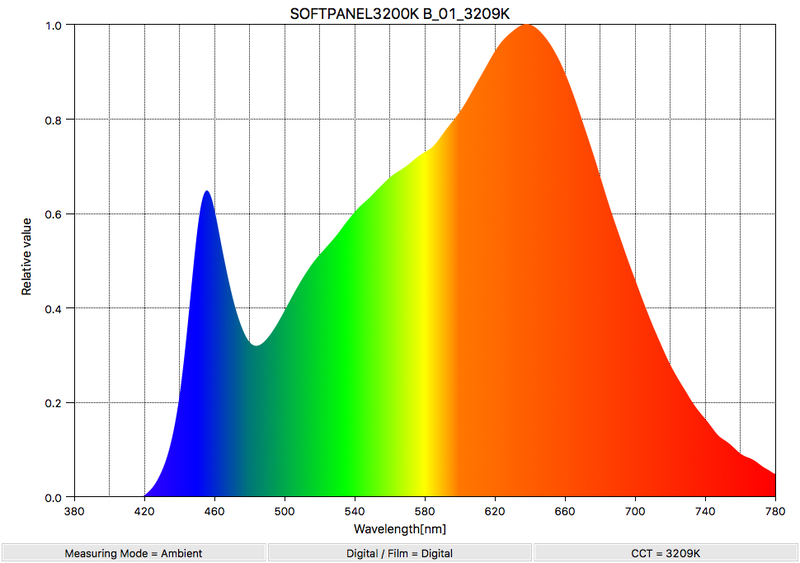 The Lupo produced a Kelvin color temperature of 3152 K. The Superpanel had a 0.1G CC Index score. Again, this output was impressive for any 2×1 panel, and at 3200K its output is only 9% lower than when used at 5600K. The 3152K reading was fairly accurate, and this was a lot better than when the light is used at 5600K. In terms of output compared to the original Lupo Superpanel Dual Color 1×1 (19,300 lx), it was 218% brighter. 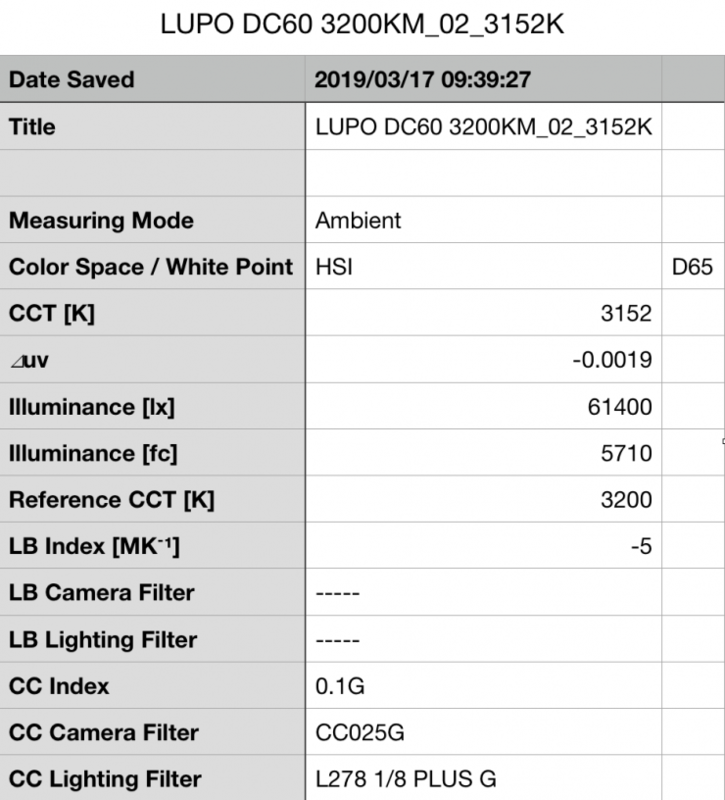 Here is how the 61,400 lx output and 3152K Kelvin color temperature I measured from the Lupo compares to some other 2×1 fixtures I have reviewed. I have included two RGBW fixtures as an alternative reference. As you can see, all of these lights have a lot less output than the Lupo Superpanel Dual Color 60 at 3200K. 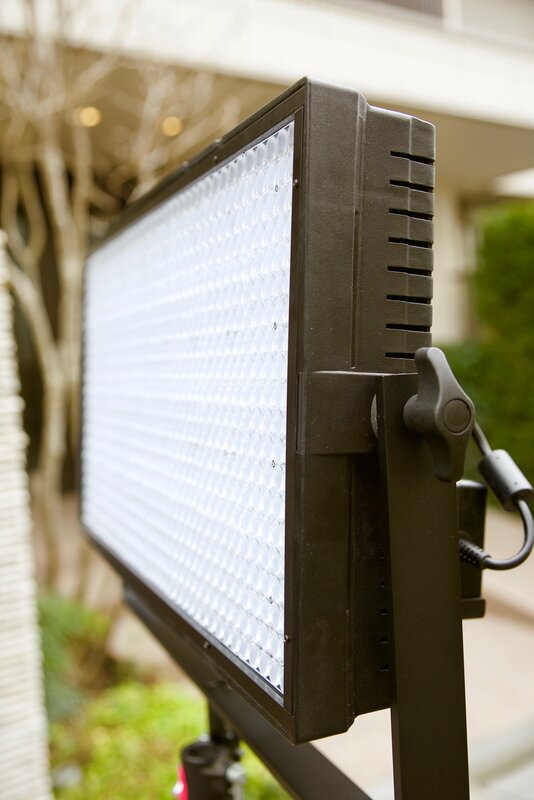 The Dual Color 60 output was 584% higher than the Litepanels and a whopping 1,420% higher than the F&V. All the lights were within 100K of replicating a 3200K source. What you clearly need to take into account is all of these other lights have built-in diffusion panels and wider beam spreads. This comparison as far as output goes it just to show you the differences from other lights I have measured. I also measured the Dual Color 60 at 4500K. These results show me that the light drops output when you start moving the Kelvin temperature dial down from 5600K, but only very marginally. The output of the light is extremely impressive. The Kelvin color temperate accuracy of the light could be better when it is used at 5600K. It is a lot more accurate when set at 4500K and 3200K. So how much does the light output when running off camera batteries? You can’t just assume that a light running off camera batteries will output the same as it does when being run off mains power. I wanted to see if the output of the light changed if you ran it off camera batteries. At 3200K the light recorded an output of 40,500 lx 4150 (fc) when running off camera batteries. Again this was around 50% lower than when running off mains power. 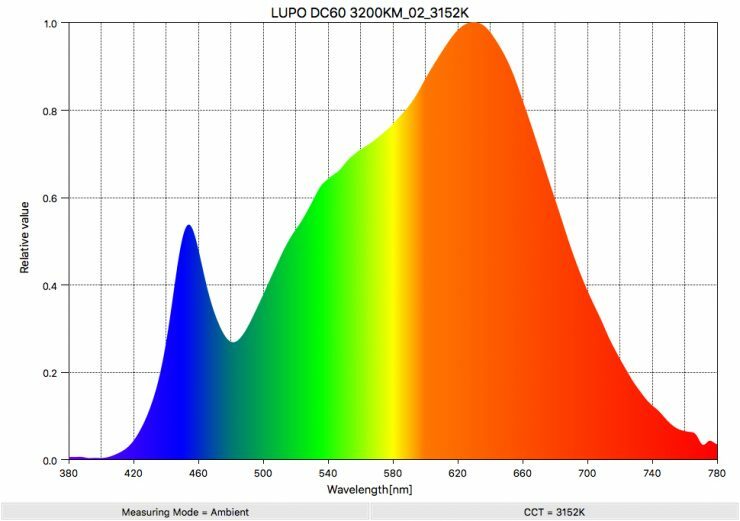 So now that we have seen how much output the Lupo Superpanels Dual Color 60 produces, how does it perform when it comes to replicating accurate colors. Will the high output effect color rendering performance? Well let’s find out. Above you can see that when the light was set at 5600K it recorded an average CRI (R1-R8) of 95.6 and an extended CRI (R1-R15) of 93.65. For replicating accurate skin tones it recorded 91 for R9 (red), 97.7 for R13 (closest to caucasian skin tones), and 96.5 for R15 (closest to Asian skin tones). These were all very good results. The light when set at 5600K also recorded a TLCI score of 96. It also recorded the same score when used at 3200K. How does this compare to the smaller Superpanel Dual Color 1×1? 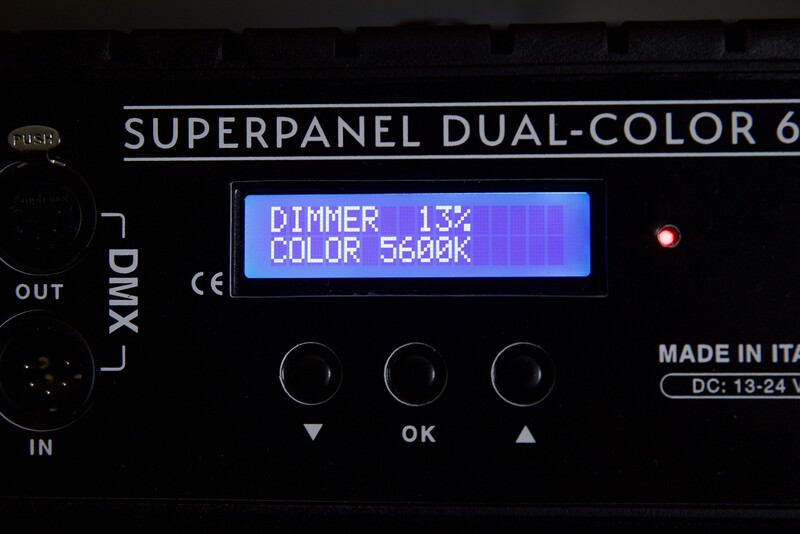 The Superpanel Dual Color 1×1 recorded an extended CRI (R1-R15) of 95.0. So the larger Dual Color 60 version actually has slightly worse color rendering (well only marginally) than the Superpanel 1×1. It’s nice that LUPO has been able to make such a high output light while maintaining good color accuracy. Any CRI score in the mid 90s is impressive. So how does that compare to a 2×1 light such as the F&V Z800S? Above you can see the results. The F&V recorded an average CRI (R1-R8) of 93.4 and an extended CRI (R1-R15) of 92.1. For replicating accurate skin tones it recorded 90.8 for R9 (red), 94.9 for R13 (closest to caucasian skin tones), and 91.4 for R15 (closest to Asian skin tones). As you can see the Superpanel has a higher extended CRI score and also better scores for accurately replicating skin tones than the F&V. This is certainly impressive for a light with such a high output. Above you can see the scores for when the light was used at 3200K. It recorded an average CRI (R1-R8) of 95.7 and an extended CRI (R1-R15) of 93.82. For replicating accurate skin tones it recorded 81.3 for R9 (red), 97.3 for R13 (closest to caucasian skin tones), and 96 for R15 (closest to Asian skin tones). These results were almost identical to the Superpanel Dual Color 1×1. So again, how does that compare to a 2×1 light such as the F&V Z800S? Above you can see the results from the F&V. 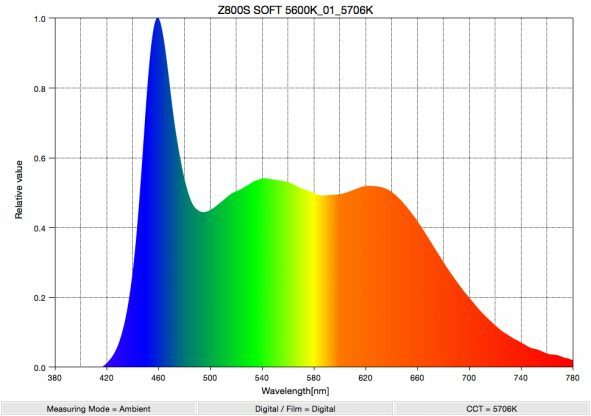 The Z800S Soft recorded an average CRI (R1-R8) of 96.4 and an extended CRI (R1-R15) of 95.12. For replicating accurate skin tones it recorded 91.3 for R9 (red), 95.5 for R13 (closest to caucasian skin tones), and 95.0 for R15 (closest to Asian skin tones). These are very good scores and slightly better than those of the Superpanel. As you can see, all the lights have fairly similar Extended CRI scores at 5600K, but the Litepanels, Arri, SoftPanels, and F&V are slightly better at 3200K. Now we have seen the color rendering scores, what’s the spectral distribution like? Well, let’s find out. SSI (Spectral Similarity Index) was developed by the Sci-Tech Council of the Academy. SSI gives me the ability to set any light as a standard, or use predefined standards (such as CIE D55), and then give other lights an SSI score based upon how well they will match standards such as CIE D55 measure spectral response and compare it directly against an ideal light source. 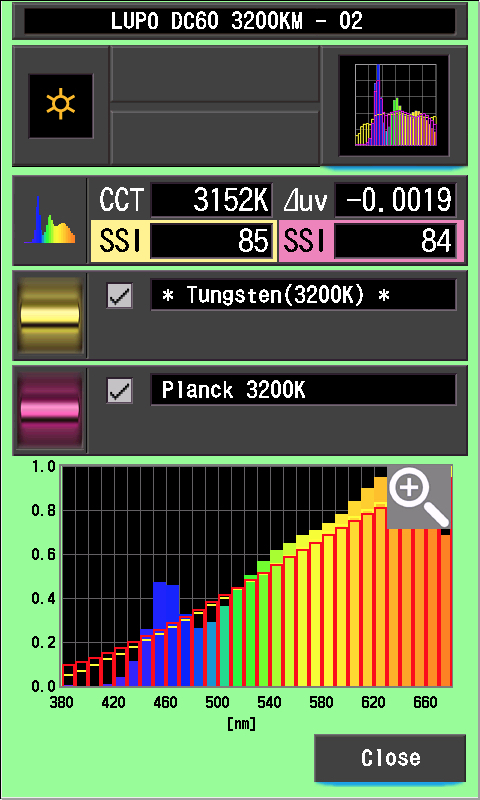 In this graph the red bars indicate a perfect 3200 (Tungsten source. The Red bars indicate a Planck 3200K source. This lets us compare how close to a perfect 3200k lighting source the Lupo is. This is useful to see how well different lights will play together. 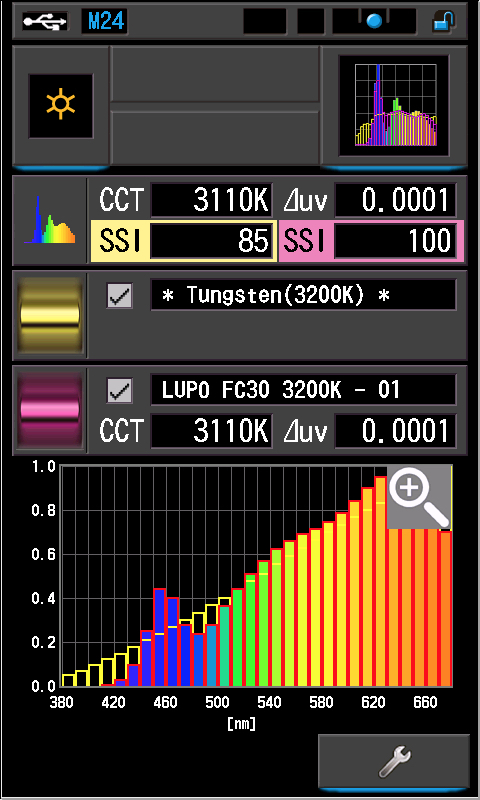 As the Sekonic C-800 Spectromaster can measure SSI, I decided to test out the Lupo to see how it performed. 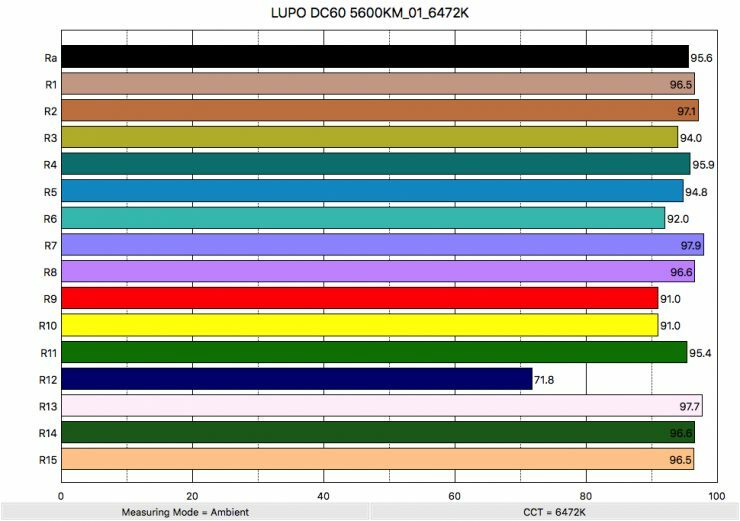 Above are the scores for the Lupo Superpanel Dual Color 60 when used at 3200K and 5600K. The scores show that the light does a pretty good job of accurately replicating a 3200K (Tungsten) source, but it’s not as good at replicating a 5600K source. In saying that, it is important to note that most LED lights only record SSI scores in the 70s when they are used at 5600K. The main reason we want to record SSI scores is so we can see how well they match with other lights. I was curious to see how well Lupo’s Full Color 30 would match when used with the Superpanel Dual Color 60. Below you can see the results. As you can see the Full Colour 30 and Dual Colour 60 are a perfect match when used at 3200K. At 5600K they aren’t quite a match, but the score of 90 is still very good. Above you can see the spectral distribution of the SoftPanels 1×2 when used at 5600K. 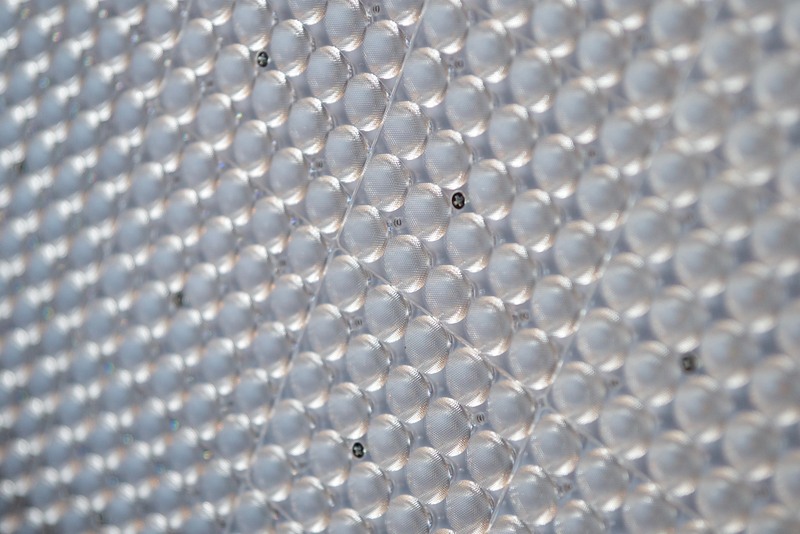 The spectral distribution of the SoftPanels 1×2 and Superpanel are very close. Above you can see the spectral distribution of the F&V Z800S when it is set at 5600K. As you can see the F&V has a slightly fuller spectrum. 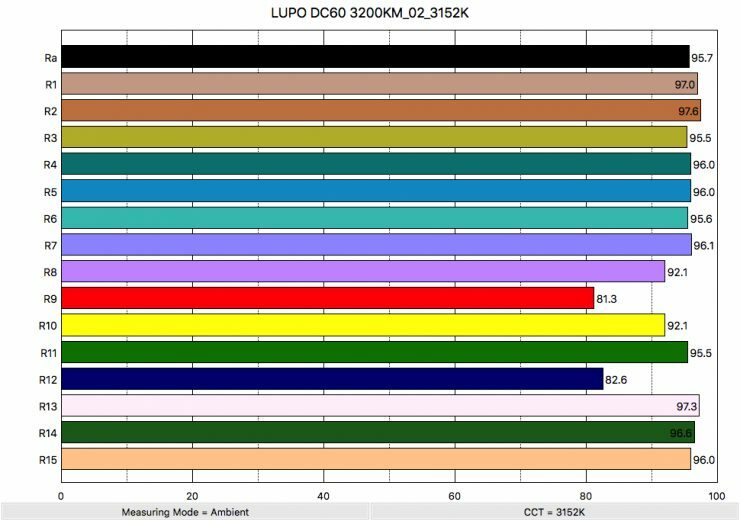 Above you can see the spectral distribution of the LUPO when it is set at 3200K. The spectral distribution is excellent at 3200K and the light doesn’t have any spikes where it shouldn’t. 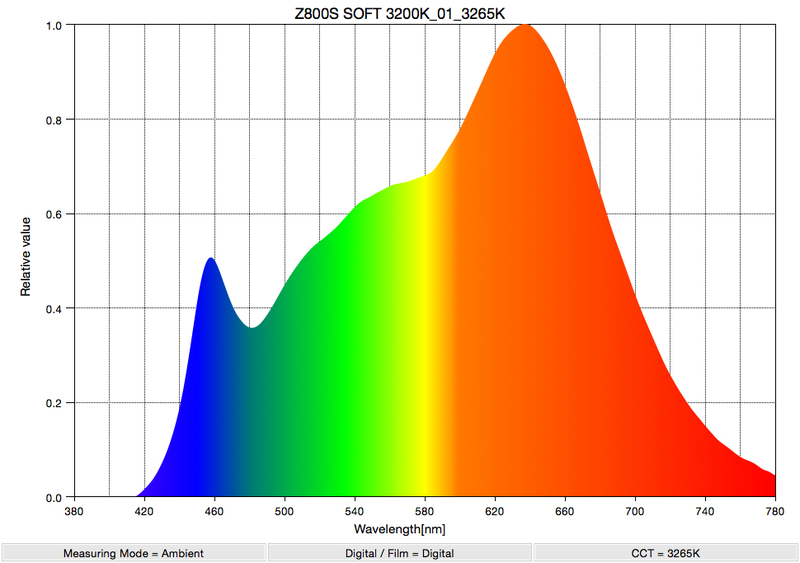 This spectral distribution is very good for a LED light at 3200K. 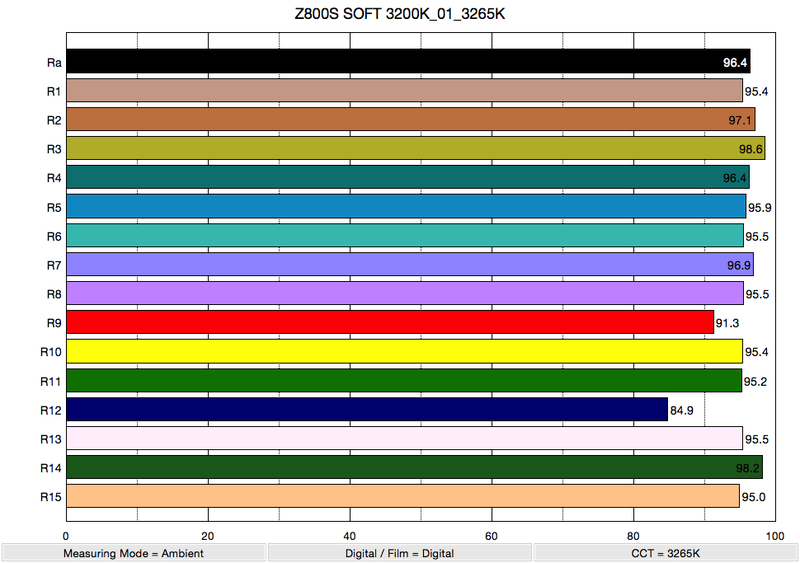 Above you can see the spectral distribution of the F&V Z800S Soft when set at 3200k. As I always say, photometric scores only tell you part of the story. 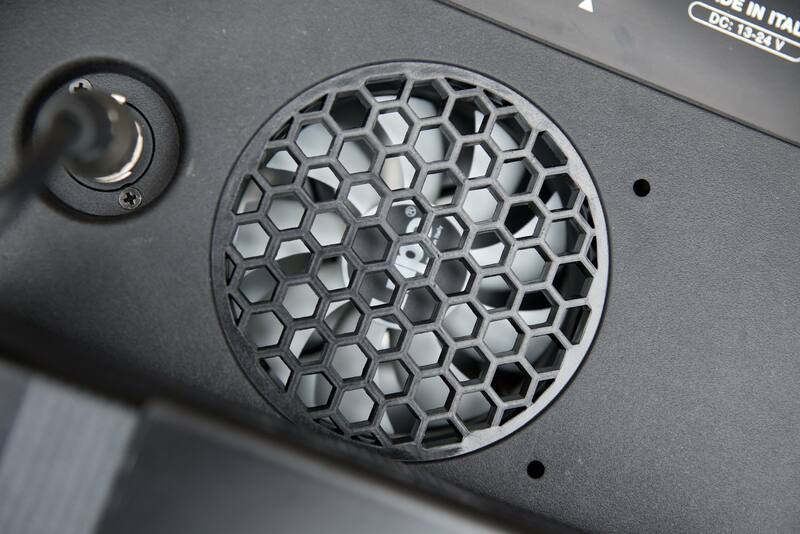 So how do the scores from the Lupo Superpanel Dual Color 60 translate into real-world performance? All I can say is this light is so bright is defies logic. If you need a lot of light, then the Dual Color 60 is certainly up to that task. Above you can see a few examples of using the light outdoors to match very bright backgrounds. The talent was standing in the shade, as well as being heavily backlit. Trying to match a bright background like this is not easy and usually requires a high powered HMI. I was very impressed with the real world performance of the light. Not only could it match bright backgrounds outdoors, but the light still remained quite soft and doesn’t look overly forced. This is something that is often hard to do if you were using a Fresnel style HMI light. I am still amazed that a light that is this bright could be run off a couple of camera batteries. 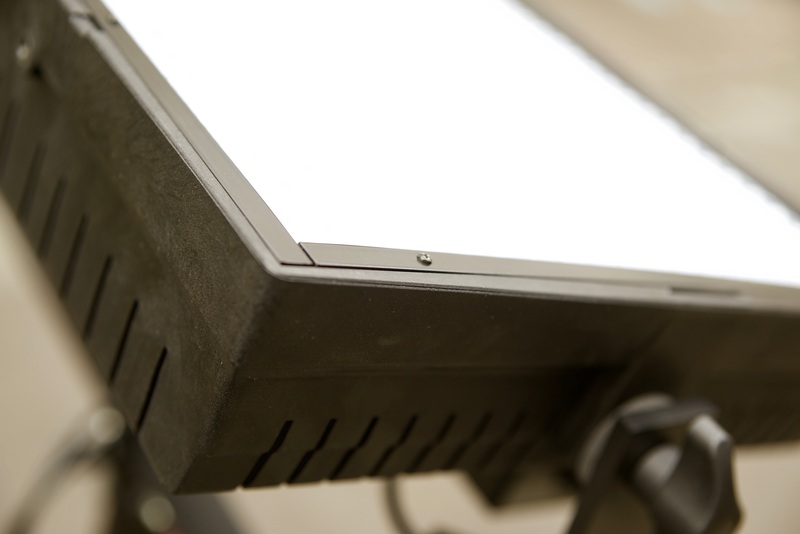 After doing these tests we realized that the fixture wasn’t set in the Linear dimming mode. If it had of been the output would be more than double what we were seeing. If you chose to run the light outdoors off mains power or from a generator you could easily match any background. Starting with an incredibly bright source allows the Dual Color 60 to be used as both a hard or a soft light depending on what you require. 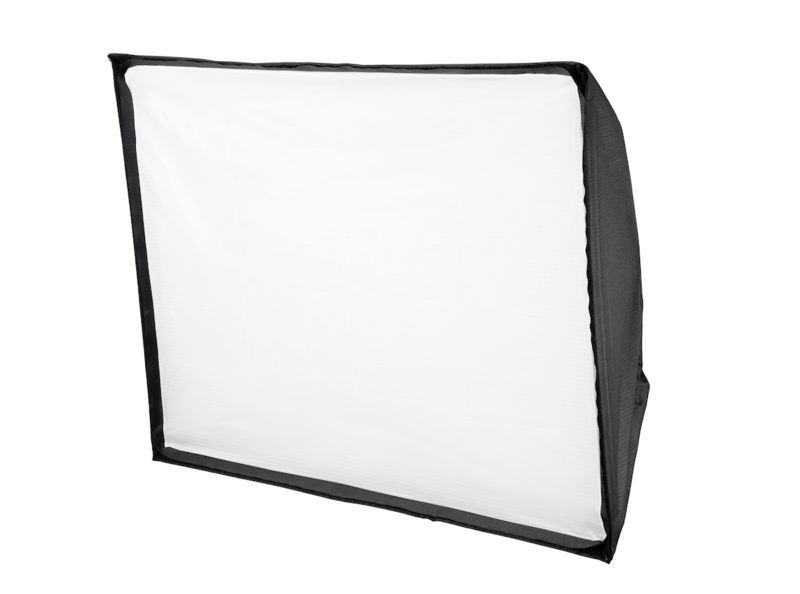 In some ways, this makes the light more versatile than if it had a built-in diffusion panel. If you don’t have a high enough output to begin with, and then attempt to heavily diffuse that lighting source, often the brightness of that light is reduced to a point where it’s only usable when placed very close to a subject. This is the main advantage the Lupo Superpanel Dual Color 60. It has so much output that you can heavily diffuse it and place it a long way away from your subject. 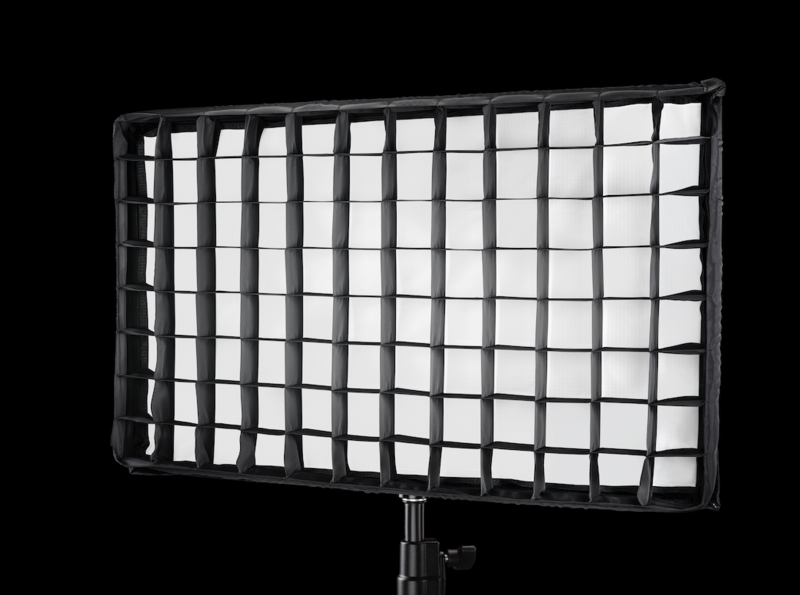 The LUPO’s high output for a 2×1 light and lack of an in-built diffusion panel really mean you have to heavily diffuse it if you want to create a soft lighting source. If you need a light that is quick to set up, can be run off a couple of camera batteries and can match the brightest of backgrounds then this is certainly a good option. 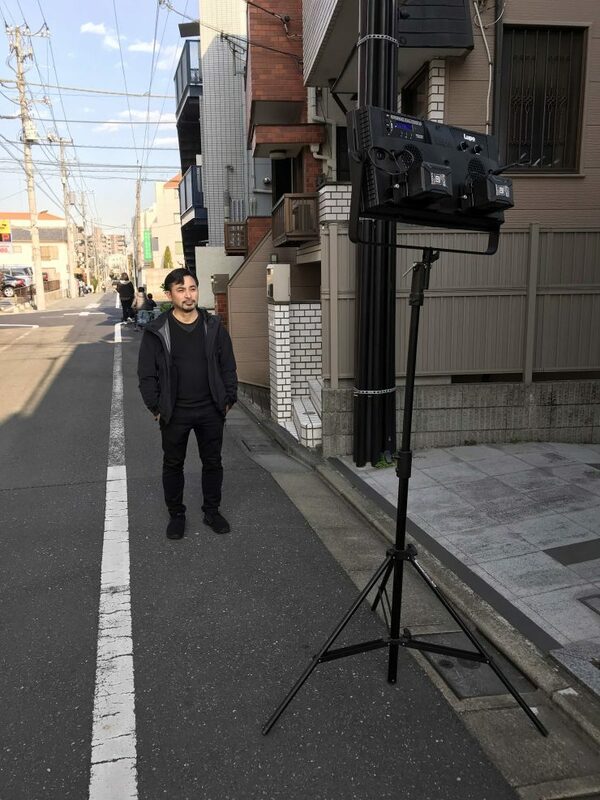 If you are a solo operator or working in a news environment where you need to light subjects outdoors for live crosses the Lupo is definitely up to the task. The light is also so bright that it can be used for lighting up some rooms by indirectly bouncing it into a wall or ceiling if you just need some additional fill and don’t want the light to look forced. 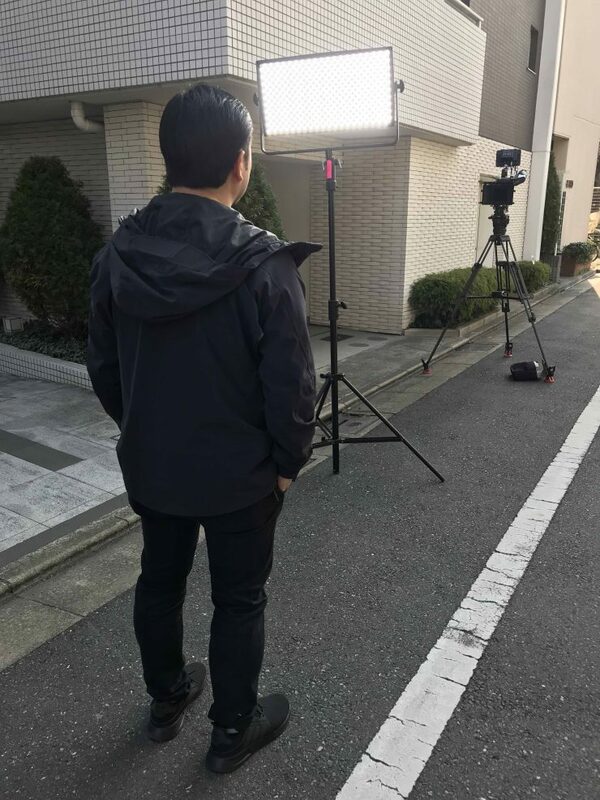 It’s also an ideal light for news crews doing live crosses as the fixture can be run off camera batteries and it’s powerful enough to provide a nice amount of light in really bright conditions. You do need to be aware, however, that the light draws 220W so you need to have a couple of high capacity batteries to use this light remotely in the field. What you do have to keep in mind is if you want to run the Dual Color 60 off camera batteries you will have to spend an additional $194 USD for two V-Mount battery plates. The Superpanel Dual Color 60 will retail for $1,790 USD which makes it competitively priced against its competition. I’m not going to include 2×1 flexible LED panels in this list, because they are an altogether different type of lighting solution. If you would prefer a 2×1 sized light that is RGBW then there is the Kino Flo Diva-Lite 21 ($1,976.25 USD), and Aladdin ALL-IN 2 COLOR ($1299 USD). If you don’t mind something a little larger there is also the F&V EverTrue Vari-Color 3×1 ($2,299 USD for the Light Rental Kit). 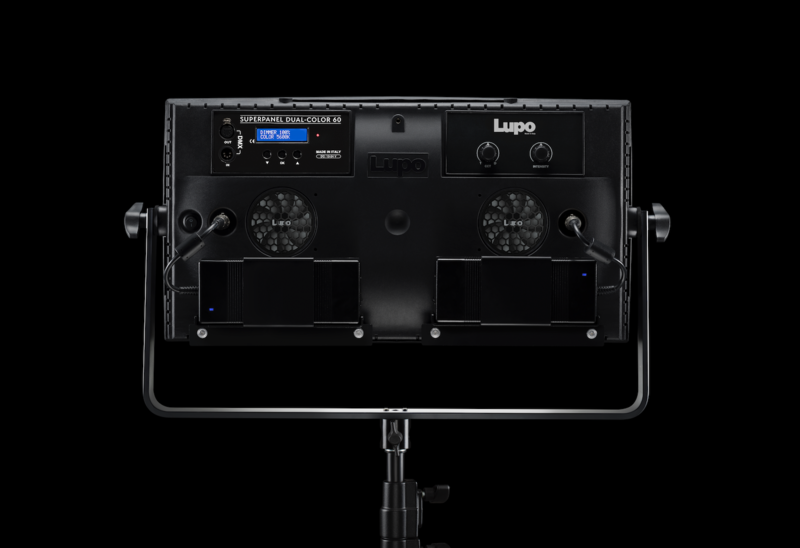 Lupo do make both a Soft version of the Superpanel Dual Clor 60, as well as an RGBW Full Color version ($2,598 USD). Most of the other 2×1 sized RGBW lights on the market are considerably more expensive. The Litepanels Gemini is $3,774.99 USD, the ARRI SkyPanel S60-C LED is $5,850 USD and the Cineo Standard 410 is $4,995 USD. Comes with yoke, power supply mounting brackets, 24 V AC adapter power supplies, adjustable color temperature from 5600 K to 3200 K, local dimmer and DMX. Comes with yoke, power supply mounting brackets, 24 V AC adapter power supplies, adjustable color temperature from 10000 K to 2800 K, CCT mode, COLOR modes, local dimmer and DMX. Just because we want something, doesn’t necessarily mean that we need it. Whether you actually need an RGBW light really depends on the type of things that you shoot. If you are primarily shooting interviews, then having an RGBW light may not make a lot of sense. In a lot of scenarios, a dual color LED light is going to serve your needs, especially if you are a news, documentary or events shooter. 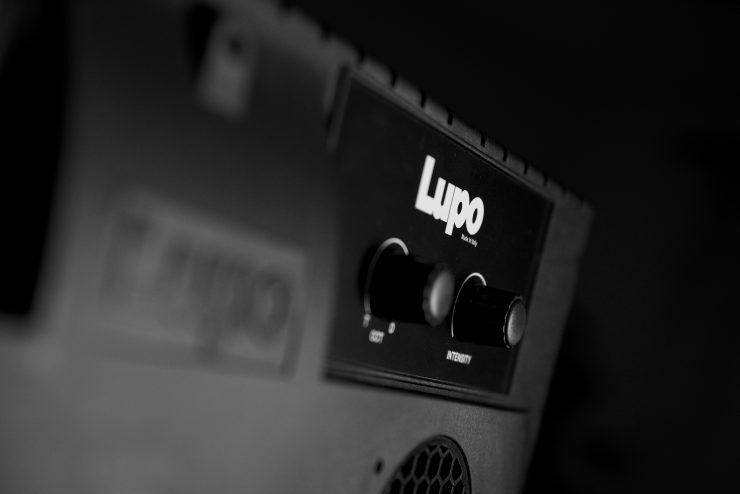 The Superpanel Dual Color 60 from Lupo certainly packs a punch. The output of this light is truely amazing. It is a great alternative to a lot of other 2×1 sized lights. 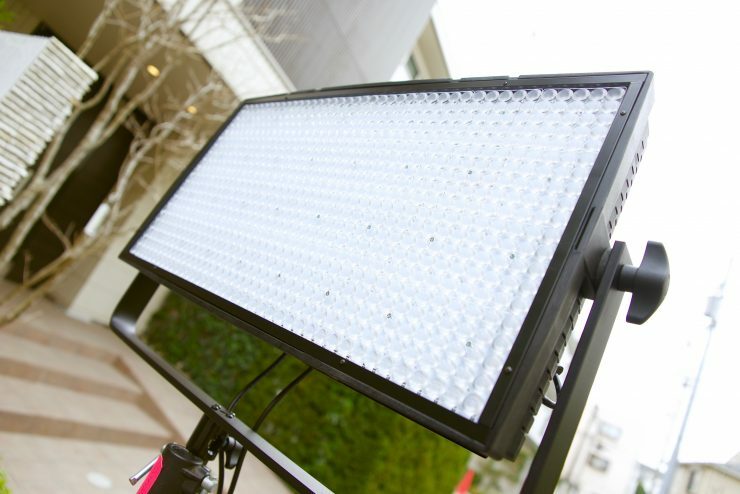 There is nothing on the market that comes close to it in terms of output, and its $1,790 USD price makes it an attractive proposition if you need to produce a lot of light. If you travel a lot and don’t mind carrying around an 8 kg fixture, it’s a very multi-versatile lighting solution. If you are looking for a high output, battery-powered light (as long as you have access to a large enough battery), that is quick and easy to use for lighting interviews, live crosses, or just about any other application, it’s a great option. With a nice range of features and accurate color rendition, it’s really hard to overlook if you are looking to buy a 2×1 style LED light. The only real downside to this light is the 8 kg weight, but in saying that, the output it produces might be enough for potential buyers to overlook that negative aspect. The thing that impressed me the most about the Lupo, apart from its high output, was its ability to be used in so many different ways. It really is one of the most versatile lights I have used. Lupo has done an outstanding job with the Superpanels range, and the Dual Color 60 is another impressive offering from the Italian lighting company. With massive output, good build quality and a very attractive price, this light is sure to find a home in many shooters kits.